IX: Garnet is a summoner. 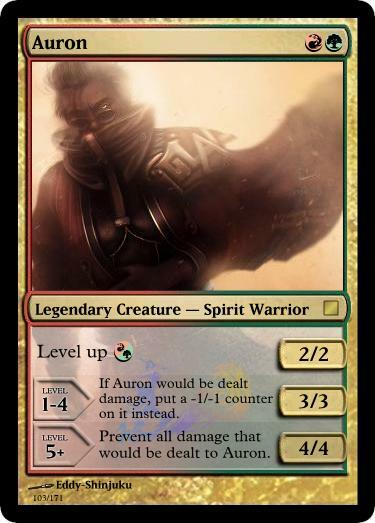 We get quite a few of those, so i tried to make her abilities a little different. 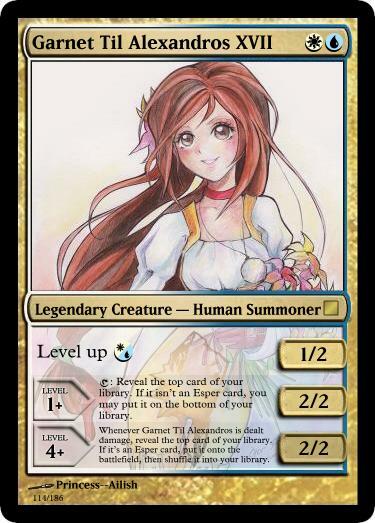 Her first ability is a scry variant that helps you find your Espers, while her second ability lets you put them onto the battlefield, but only for their invoke effect. The random nature of the ability mimics her Eidolon trance command, which has the summoned monster reappear randomly during her trance. X (major spoilers ahead): Auron, we come to learn late in the game, is actually Unsent, meaning he died but was not sent to the Farplane. I focused his mechanics around this, based off the Phantom mechanic. 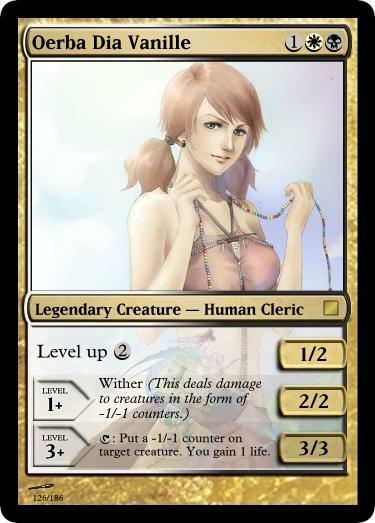 XIII: Vanille’s main paradigms (jobs) in the game are the Medic and Saboteur, which respectively heal her allies and debuff her enemies. The -1/-1 counters and life gain play off that. 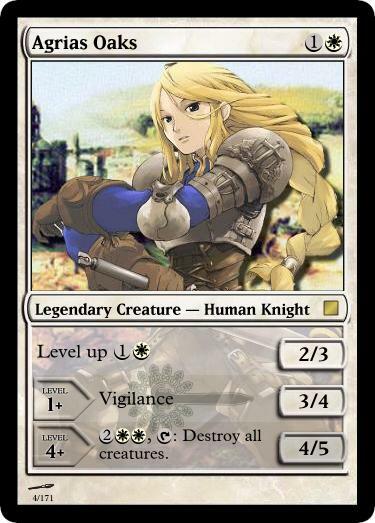 Tactics: Agrias is a Holy Knight, a Paladin-like job that specializes in devastating holy attacks.